If you’ve got a spare few hours, why not boost team morale with some of these simple tricks? For any boss, increasing productivity is always a priority. After all, you want your workforce to be as energized and passionate as possible, so that they’re deliver results faster and of a high quality. There’s no need to crack the whip though. Sometimes, a little fun is all you need to get your team working hard and working well together. So how can you get everyone in the office smiling? Well, it doesn’t take a lot –anything from creating a nice working environment to escaping the office for some fun team-building will work wonders. Here’s your guide to increasing productivity in just 24 hours. One of the easiest ways to inject a little more get-go into your office is to tidy up the working space. This will take a few hours at the most, and the effects will be pretty instantaneous. Ensure that the space is well ventilated and lit, so that it doesn’t feel oppressive. Then tidy away any rubbish, and put a system in place so that it’s kept tidy. A few plants, pictures and other personal touches will make it feel much more inviting too. The result? It’s a place your staff will want to spend time, and they’ll settle down to work much quickly and work harder in such a relaxed setting. Heading out of the office to have some fun is another great way of boosting productivity in just one day. Collaborative team building activities are a fantastic way of building up a great team rapport in a fun, informal setting. Working together to create something or solve a problem, your team will be able to identify their individual strengths and weaknesses as well as working together as a team. Every aspect of office productivity will benefit! The Magic Mirror Photobooth Hire is also great for boosting morale – and you’ll be able to bring home snapshots to your office so that everyone can look back on it with a smile! If you’re sensing a little tension within your team, suggest a dress down day. Allowing your staff to come into work wearing their casual clothes will instantly make them feel more comfortable, allowing them to work harder for longer. Some companies swear by this, and have dress down days as a regular occurrence in the office calendar. It seems like it’s almost too simple a move to have any great effect, but it really does work! Last but not least, it’s okay to tear up the rule book sometimes. Whether that means taking your team out for a fun day of bonding, introducing a more flexible schedule or dress code, or just turning your office into a more relaxed space, you’ll notice the difference in a matter of hours. The days of harsh, set in stone office rules are over, because they simply just don’t work. 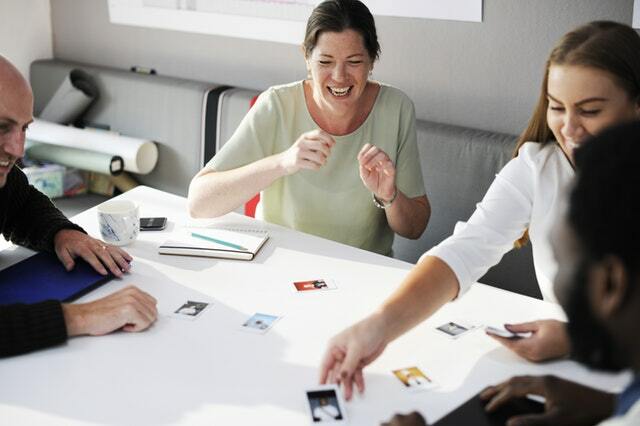 By making work fun, you’ll find that your team are much more likely to give you their best. Invest in the happiness of your team in 2017, and you’ll reap the rewards for years to come.